Assume any typos and limpy wimpy writing are due to extreme exhaustion. Not the topic, which happens to be glorious. Today a bunch of us are celebrating independent book stores. Because they're awesome, see. If you're not sure why, check out this article by Bruce Somerset, which highlights some of the reasons why we need independent book stores. Comfy and cozy, personable and supportive of communities and authors, indies are like the doting grandmas of bookstores, except way cool, like the grandmas who also ride motorcycles and play the drums. I don't frequent any independent bookstores, primarily because there aren't any near to me, so it's impossible to feature a loved local indie without being a liar. But I do know Anderson's Bookshop in Naperville, IL, an indie I'm quickly falling in love with. If it were closer than 3 1/2 hours away, I'd probably wear a hole in their carpet with all my foot traffic. I first discovered Anderson's Bookshop when the ever so amazing Erica Chapman and I attended Veronica Roth's launch of DIVERGENT*. It's while Erica and I were visiting Veronica that we discovered another major signing would be taking place the following week for Lisa and Laura Roecker (the organizers of the I <3 Indies blog fest), Julia Karr, Leah Clifford, Courtney Moulton, Sara Bennett-Wealer, Sarah Rees Brennan, Saundra Mitchell, and Christine Johnson. So of course we went. Lots of adventures were had, and I walked away having had two new super experiences and a love of indie bookstores. I'll definitely go back again. Okay, so in honor of independent bookstores, how about I give away a super awesome book that I purchased in this store? Just for fun? I purchased others there, too, but I'm not ready to let go of all of them yet. For now, I'll just give away a SIGNED copy of A TOUCH MORTAL by Leah Clifford. If you'd like to win, just click on the link below the summary and fill out the short form! Summary: Eden didn't expect Az. This giveaway is INTERNATIONAL and ends next Tuesday, June 7 2011. Congratulations, Michele! Please email me an address where I can send you your book! Be sure to check out the other I <3 Indie Blogfest blogs. A lot of them are having giveaways in celebration of independent book stores. If you tweet about the blog fest, please feel free to include the hash tag #Iheartindies and @ reply me with @cvaldezmiller if you want me to see it. *I'll blog about this con soon, too. Mega fun, and seriously. Made friends I know I'll have the rest of my life. SCORE. **I intend to fully blog about these trips with Erica very soon. Talk about wild adventures. P.S. I'll be back on a regular blogging schedule next week. Or you know, maybe not a schedule. But something like way more than not at all. Been missing you guys loads. Thank you for this awesome give away!! Fabulous giveaway, thanks so much! I absolutely love Indie bookstores. The people are so nice. I've even had great experiences getting signed copies from another state. Great post! (Oh, and I hear you on the blogging schedule. I'm having to reconfigure mine. lol) Thanks for the giveaway. Congratulations on winning Divergent, Michelle. I just finished it, and it was great. I'd love to win A Touch Mortal. Sounds like a great book. And congrats to Michelle. Sometimes life is too busy for regular posts. So don't worry. And thanks for the contest. 4:00 am blogging...you are amazing Carol! Thanks for the giveaway! THIS is dedication--4 AM? I thought I was up late at 12:30. Ha. Thanks for spreading the love, Carol. We heart Anderson's too. Thanks for the great giveaway! Book has very beautiful story! OMG! You ladies have to tell me when you are going to an Anderson's event! I'll totally meet you there! I've been to Carrie Ryan and Rick Springfield signings there. Anderson's is AWESOME! sah-weet! I'm filling the form out RIGHT NOW! Also, indie stores rock. Hard. Yay for independent book stores! Sadly, I don't have one anywhere near me either, for like 200 miles. But then, I live in the middle of nowhere. Obviously. And hey hon, I didn't see a single typo. ;) Get some sleep! I love my local indie booksellers! Thank you for the giveaway. Indie Stores rock my books! I love seeing pics from other people fav booksellers. This was great seeing the links of the other authors! 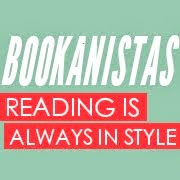 Glad you're out enjoying bookish events! Anderson's must be extraordinary since so many people talk about it! When you get some rest, stop by and check out my favorite indie. Great post... now get some sleep. Great giveaway!!! Thanks for this! Just wanted to stop by and say HI! Hope you are well. And great giveaway! This book sounds so interesting! Thanks for the giveaway! Great blogfest - I put up my tribute to my local bookstore too. And of course I'd love to win A Touch Mortal. But really I'm commenting on your previous post, because I found that same review by Aleeza and started following her on Goodreads and A Northern light and Revolution are on my summer reading list. Gosh I wish I had been that well-read and well-spoken at 17 years!!! What a future that girl has! I think it's great that you're celebrating independent bookstores. It's a shame they don't always get the attention they deserve. Thanks for the giveaway! Get some sleep! You are SUCH a trooper, C!! YAY for indie bookstores! We need to keep them alive! Sadly, many of our local indie's have closed. They are a great tradition I hate to see dwindling. I'm hoping they make a comeback! Thanks for the giveaway! I <3 indie bookstores! I've heard so much about Anderson's today. I hope someday I can make the trek. Sounds amazingly like heaven on earth. Thanks so much for the contest. You have a great, easy-to-navigate blog! I think it's great that there's this much support for indie bookstores. There are great stores that are overshadowed by the big chain stores. I love the coziness of my local indie. I already have Leah's book. I should move it higher up the pile. Really wish I had an indie book store close by, any bookstore would be great. The closest book stores of any kind are about 45 minutes away in a direction we rarely ever go. I feel way more comfortable perusing an Indie Bookstore for hours on end than I do a larger chain. And near me there are so many second hand/cafe bookstores too. So Good! Thanks for the giveaway and especially for opening it to worldwide entries. This just won post of the week for proper use of the term macking on. When's your birthday Carol? I would like to buy you the gift of a good night's sleep. Also, a Jared Leto poster, but that's irrelevant to today's discussion. I love this! I am visiting every one else as soon as I can. Yay for Indies! Aw, I love Anderson's! I just moved to Naperville and feel lucky to have found it. What a gem. And it was great to meet you there (at Anderson's Adventure #1) :). I need to get in there more often. I love my local indies! There are two in NYC that I frequent all the time: Books of Wonder (fab children's) and the Strand. Thank you for the giveaway. I wish we had more Indie Bookstores in Australia. What a great opportunity. I think it is great that you are supporting them! I've been reading a lot of YA lately. I'd love a chance to win this . Thanks for the giveaway. Thank you for this giveaway!!!!!!! !